Of the 380 archeological sites that face desecration along the entire pipeline route, from North Dakota to Illinois, 26 of them are right here at the confluence of these two rivers. It is a historic trading ground, a place held sacred not only by the Sioux Nations, but also the Arikara the Mandan, and the Northern Cheyenne. The U.S. government is wiping out our most important cultural and spiritual areas. 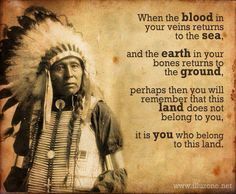 And as it erases our footprint from the world, it erases us as a people. These sites must be protected, or our world will end, it is that simple. Our young people have a right to know who they are. They have a right to language, to culture, to tradition. The way they learn these things is through connection to our lands and our history. Shocking! As of mid-October there had been over 140 arrests. Some protesters arrested for misdemeanours and taken to the Morton County jail have reported what they considered harsh and unusual treatment. Sara Jumping Eagle, a physician on the Standing Rock Sioux Reservation, was required to remove all of her clothing and “squat and cough” when she was arrested for disorderly conduct. In another such case, LaDonna Brave Bull Allard, who founded Sacred Stone Camp, said that when her daughter was arrested and taken into custody she was “strip-searched in front of multiple male officers, then left for hours in her cell, naked and freezing.” Cody Hall from Cheyenne River Reservation in South Dakota also reported being strip-searched. He was held for four days without bail or bond and then charged with two misdemeanours. Inspiring! A series of kitchens have been opened around the clock to feed free meals to 1000 people or more. A microphone is open to just about anyone, and throughout the long now cold days wayfarers often describe how wonderful it is to be a part of such a cause and how much it meant to see Native Americans from all the nations gathering in common purpose. Standing Rock Sioux Tribe hauled in its own infrastructure many months ago, banks of Port-Potties, water tankers, a disaster response trailer, dumpster, ambulances, a refrigerated semi truck. Food and cash donations keep pouring in, tents are filled with provisions, even small donations are greatly received, someone mailed four packets of lipton noodles. When asked how long they planned on staying, most say ‘Till The End’. Annanda and all of you that maintain your persistence in sending positive energy to each and everyone of those that are fighting for Standing Rock.